If you have any questions or want to enquire about dates, use our form to contact Camille & Hugues Oeyen or see their website for more information. The estate’s handsome buildings span the 16th to the 19th centuries, and sit amid lush lawns and trees in bucolic Normandy countryside. The old stones and wood beams breathe elegance and a light-filled reception room, with its fireplace, books and chessboard, sets the welcoming tone. You’ll be well looked after by gentle, multilingual hosts Hugues and Camille – and by talented chef Magalie, who serves creative four-course menus on advance reservation. The French concept of ‘cocooning’ floats through eleven fresh rooms and suites spread over two buildings and themed in imaginative colours like rose pink, honey orange and mimosa yellow. Accessible ‘lime green’ room has a suntrap terrace, while others are upstairs, with two cute ‘cocoon’ rooms with open baths under steeply sloping eaves. You can pamper yourself in modern granite bathrooms, and make full use of the basement wellness area with its steam and sauna cabins, and showers enhanced by light and music. 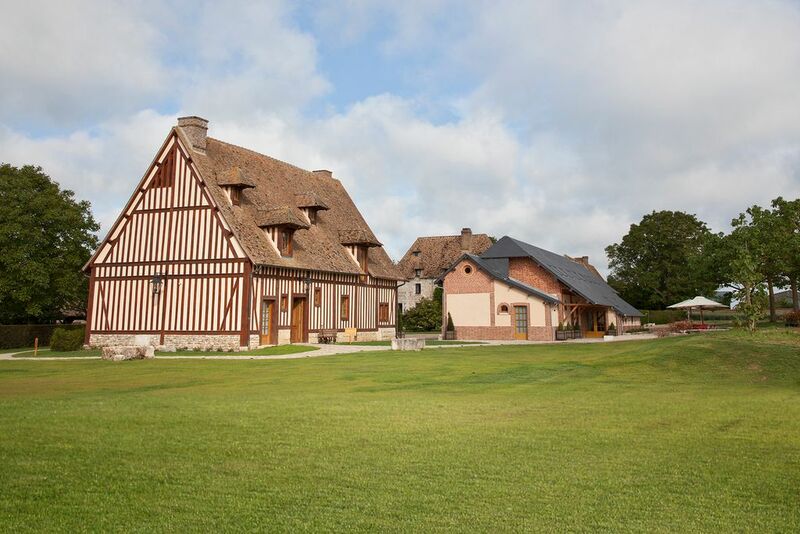 The surrounding forested countryside offers walking, cycling and horse-riding, golf in 18-hole courses and an aquatic complex in Louviers. Christmas, New Year, 15 October - 31 October. A wonderful place to stay, warm welcoming and the delicious food surpassed our expectations. We would strongly recommend this hotel and we hope to back from time to time. Excellent! Book a table and discover a seasonal and gourmet cuisine in a warm and modern atmosphere. Our Chef Magalie cooks a cuisine around seasonal produce to delight the eyes and tastebuds of her guests. Borrow a bike and go for a ride through the fields! You're 15-minute away from the 'Normandy's Versailles', the Champ de Bataille castle. Go discover the Harcourt Arboretum, and then have a visit of the abbey and the village of Bec Hellouin (one of the nicest villages in France). With children, you can go visit the largest tropical zoo in France: Biotropica (located 20-minute away).